Second Session is off to a great start! 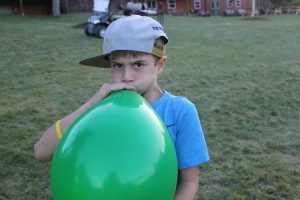 It was an incredibly busy week here at Micah! 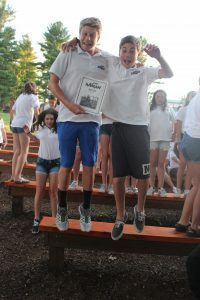 On Thursday, campers began their individual schedules and got to experience so many amazing Micah activities. 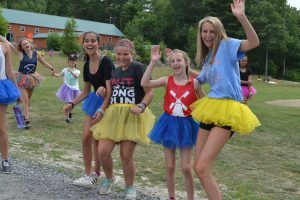 After enjoying a jam-packed day, campers ended their evening participating Unit Night. 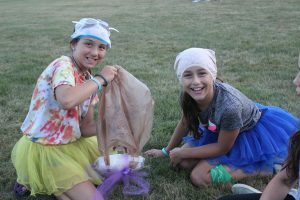 Some units broke into smaller groups and participated in a high stakes egg drop. 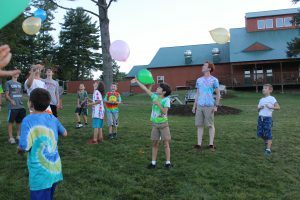 Our youngest campers on the boys’ side of camp worked in teams to race handmade balloon contraptions while our Critter Girls worked on an artistic window clings. 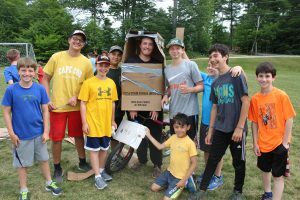 B15 and G14 traveled to Bridgton Sports Camp for our annual night basketball game. It’s always fun to have a Micah cheering section echoing throughout their gym for this special evening activity. Everyone had a good time cheering on our beloved Blue and Gold! 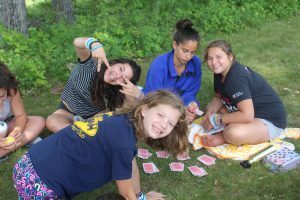 Yesterday, amidst all of our regularly scheduled activities, groups of campers traveled to neighboring camps to compete in a 15U boys soccer game and 15u girls tennis tournament. 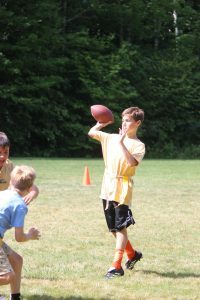 And, if that wasn’t enough, we also welcomed a 12U boys flag football team from Bridgton Sports Camp to our home field. The 12U boys football team was victorious with a final score of 32-0. While our other teams didn’t win in the end, we were commended for our excellent sportsmanship and drive. GO MICAH! 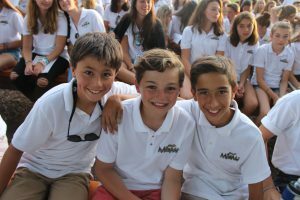 As Friday came to an end, we gathered as a community to celebrate the first Shabbat of second session. 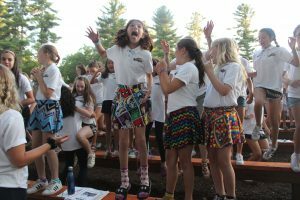 With a gorgeous sunset as a backdrop, Rabbi Lipof led us as we prayed, danced, and listened to her weekly story. 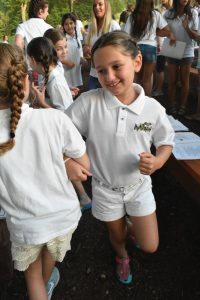 The next morning, after a delicious buffet breakfast, campers gathered in the outdoor chapel for Boker Tov – our Saturday morning blessings and songs. The rest of the day was filled with learning, reflection, relaxation, and fun. 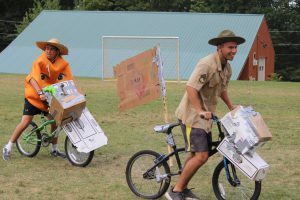 After our cookout on the front lawn, campers and staff made their way to the campfire site where they laughed and sang as we were all entertained by acts. The highlights of tonight’s performances were The Great Joellinis and the weekly Micah Update. 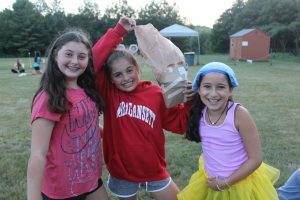 As the campers headed back to their bunks tonight, they stopped by the Dining hall for milk and cookies. Everyone is now snug in their beds and resting up for another busy day tomorrow. 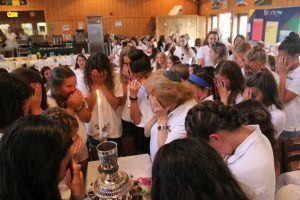 Shavua Tov – may you have a good week!